Hold This Thread: A Partial History of a Rock n’Roll Relationship | Sounding Out! I got my first computer, A Packard Bell desktop, in 1995, when I was 11, and my parents would only buy it after three trips to Comp USA where they found a salesman with enough patience to make them feel OK about hoarding a year’s worth of PC Magazines in a box under my bed that I was supposed to use for research, but really I just wanted to get the best computer for games. “This isn’t just for games,” my parents said. And there was, of course, a ton of pre-loaded educational software, like Encarta, sending my folks into a state of catatonic euphoria dreaming of Ivy League schools, but there was also a Weezer music video. Specifically, the Spike Jonze-directed video for “Buddy Holly” inexplicably hidden in the computer’s media files. The existence of “Buddy Holly” on my computer was as mysterious as the video’s special effects. Now considered by aficionados to be a creative high point of the medium, the clip showed the band playing inside an episode of Happy Days, and to my pre-adolescent sense of humor was utterly hilarious. More than that, through the backdoor of Windows 95, Weezer, with this music video, attached themselves onto my brain in a real way, and with their humor, made the first significant bridge connecting my musical and emotional islands in a way a CD alone never could. Sure, I liked the song, but I loved that music video. Aggressively aging through middle and high school, through Nine Inch Nails and Black Flag, Weezer’s first album was just a blue CD stacked with a bunch of other old birthday presents I couldn’t return. Their music wasn’t harsh enough, and it dealt with realities (sentimental longing, romantic frustration, imagination seen as inner-brain reclusivity) that I hadn’t yet developed the ability to experience. Then a couple years into high school, on a homemade VHS tape of six hours worth of videos recorded off MTV2, I was once again confronted with the band, this time via their video for “Say It Ain’t So.” This one was also pretty funny, but it took the band out of a pastiche and into a fully-realized suburban rock fantasy: playing guitars in a garage, doing laundry, and kicking a hacky sack in the backyard. Even more importantly, this was the first time I realized how good their music was. Mixing that ever-present humor, with heavy guitars and unapologetic pop hooks, Weezer were reincarnated as instant personal favorite; as anti-venom to blindingly angry music and a reflection of my own growing inner-complexity. The content of the songs on their first album, Weezer, finally registered with me too: the fragility of relationships with “Say It Ain’t So” and the liberating loneliness of geekdom portrayed with “In The Garage,” to me, was deeply profound. It didn’t take long for me to move on to 1996’s Pinkerton, Weezer’s second album, and with its discovery came detailed maps guiding me through new musical/emotional landmasses. Pinkerton is built around a conceit of unfiltered confession, with moments of terrifying straightforwardness, but tempered with self-deprecating humor. Songs like “Across the Sea,” “Pink Triangle,” and “Falling for You” tackled the irony and inevitability of heartbreak to the richest and most complex pop the band would ever create. Pinkerton not only mapped my feelings, but fueled them as well, keeping me anchored to the disc for years. 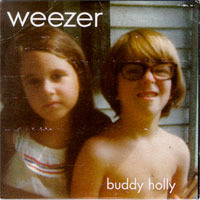 In point of fact, as I grew into emotional self-realization, Weezer’s first two albums became my sad records. These songs, while ironic in tone, were completely genuine in content and delivery, genetically engineered to combine with my particular brain chemistry. Pinkerton, though, was a commercial disappointment, and since that self-perceived fail Weezer’s interests shifted from writing clever songs, tempering their rich content with sturdy hooks, to jokes. Their third album, also called Weezer, was released in 2001and presented the band as dually trying to tap into the geek ethos of their first record, but this time strictly in visual terms. They became a novelty band, writing “funny” pop songs, which are silly and sentimental, but lacking serious emotional content. They play shows sponsored by Axe body spray, wear costumes on stage, put an actor from Lost on their latest album cover, even going as far as to name the album after his character; Weezer are now totally vapid. Everything I loved about the band was disintegrated, leaving nothing but a scorched caricature behind. Blame that on the music business if you want, on the shifting roles of music in culture (as an art form now more closely related to branding and licensing as a way to disseminate culture), or even on the needs on the music-listening public, but that would frame “Buddy Holly’s” appearance on my pre-adolescent computer in a similar way, as nothing more than a cash-in on some big market licensing. Well then good job, I guess. And, I guess, with all today’s corny gimmicks they’re just trying to do the same thing to another generation of fans fifteen years later. But, It’s hard for me to think about the band Weezer are now, making it too heartbreaking to listen to those two albums I used to love so much. 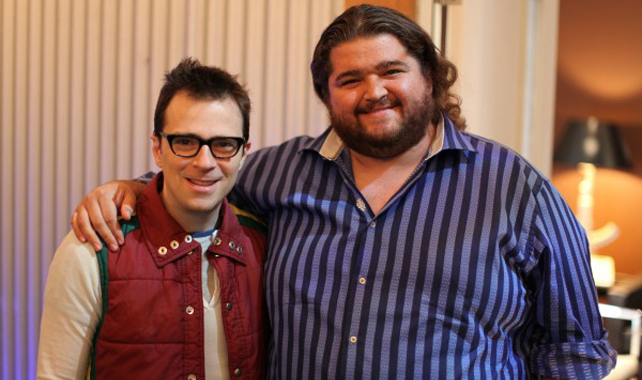 Weezer were an important band to me. I discovered them when I was new to music, just forming my tastes, and Weezer found a way into my brain by exploiting my non-musical inclinations, and their songs and their songs mapped my emotional center. I’m worried their directions will have me going in circles forever. I can empathize. Yankee Hotel Foxtrot changed my relationship to music in general, but I don’t understand Tweedy any more. My Morning Jacket’s first album “The Tennessee Fire” changed what I thought was possible with acoustic instrumentation in the present day, but I don’t understand what they are doing any more, either. Following artists means following real people, which can disappoint and change. Nine Inch Nails, for that matter: my love of “Pretty Hate Machine” is not just who I was, it is also the music. “Pretty Hate Machine” is immediate and ultimately both accessible and very human; I think a lot of his later work us much more artificial and designed to push buttons in a less nuanced way. I still like Pretty Hate Machine. I have an acoustic cover of “Something I Can Never Have” (last track on side one) which I still play.